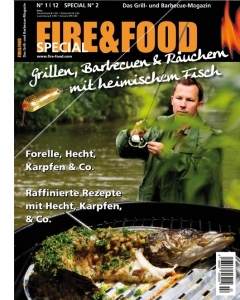 The Barbecue-Special around our native fishes. Enjoy unique recipes, interesting technical articles and tips & tricks from a professional. 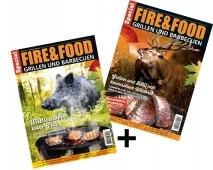 Produced by the leading barbecue magazine Fire & Food. In addition to the ongoing topic grilled sausage, fish becomes more and more a high-qualitive alternative on your grill. A lot of people don't know how varied fish recipes can be. Dutch Oven, three-course barbecue menu and much more..
More information, please see table of contents in the detail view.